How to participate in the Game. 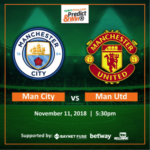 Click Here to create a Betway Account for your reward. 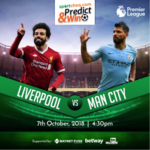 Go back to Tooxclusive to Predict with your right score, enter your Betway Sign-Up Number Example: Tunde Kazeem – Nigeria (2) – Seychelles (0), Betway Registration Number: 234813445029. Predict only once and keep watching until the game ends. No edited prediction will be allowed to win anything. Prediction ends five (5) minutes before the game starts. This is supported by Sportcheq an online sports platform rewarding sports and entertainment lovers in Nigeria for their passion. It is a subsidiary of Baynet Fuse Limited one of the leading Marketing and Media Advertising Agency in Nigeria. 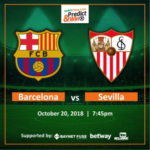 Sportcheq.com Predict & Win Game. 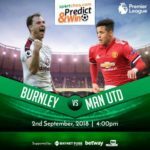 Manchester Utd Vs Burnley. 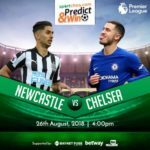 The Blues Battles For Their Third Win In A Roll- Predict & Win “Chelsea Vs Newcastle”. 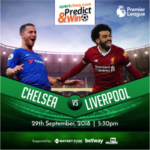 Kindly check on this platform again on Wednesday for another chance to predict and win. Seychelles 0:2 Nigeria ….my number 08177525474..
(Your Name) – Nigeria 3 – Seychelles 0 (Your Betway ID number:234xxxxxxxx).